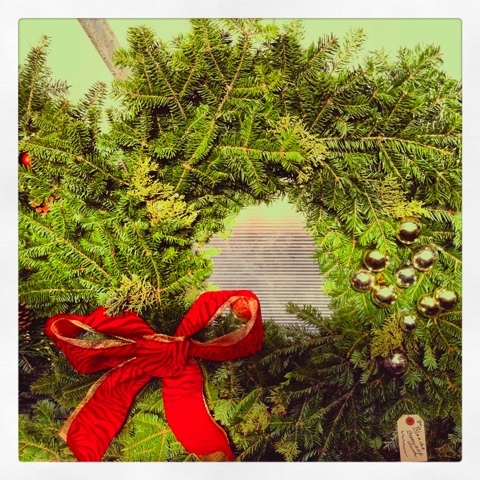 While working at Boston's farm, "Allandale," I made wreaths for the holidays to sell at the farm stand. I made this one with my friend Mykeal. She is super artsy. She added the sprigs of juniper and the bulbs. I made the gold and red zebra print flashy bow. It's the sort of bow Blanche would put on her wreath, hence the name of the wreath.